Of the tireless fellow travellers, Giorgis Venetoulias selected the texts, Kyriakos Pilingos prepared 41 recipes that showcase the wonderful flavours of the Aegean, Sina Moutafidou provided her wonderful illustrations, while Dimitris Delis composed original orchestral music that truly stirs the soul! We hope that by reading these pages, the reader, in addition to the pleasure to be found, will discover the spiritual richness of the common man and benefit from the values of his world. 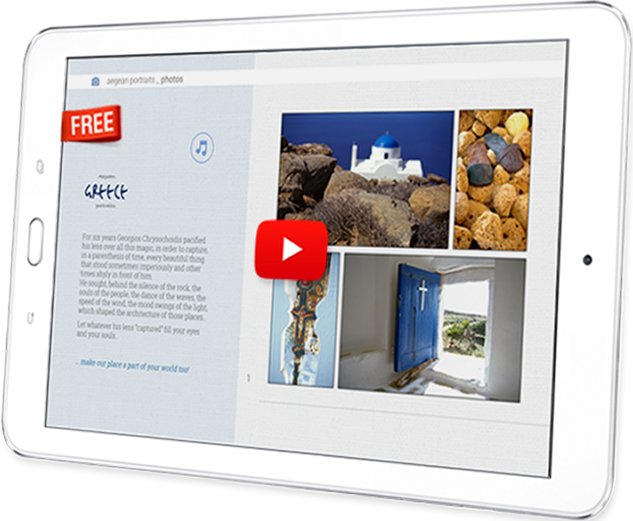 87 colour pages with 84 photographs from aegean sea, 15 select recipes, 61 folktales, humorous anecdotes, sayings, riddles, proverbs etc. and 34 original musical compositions. In this version you can download free digital book, “Mediterranean Cuisine” with 41 select recipes.